While during the last recession there was plenty of talk about the amount of foreclosed homes on the market, although in fewer numbers, you should still be on the lookout for a potential deal. When it comes to buying, the primary method of a deed of trust foreclosure is non-judicial in nature, however, for a deed of trust that does not include power of sale language, a judicial foreclosure may be required. In Georgia for example, a foreclosure can go on the market and be sold at a public auction in less than 60 days. Properties that don't sell at auction become real-estate owned and will likely be sold for more than if was sold at auction, and foreclosures in Atlanta must follow the laws of both Georgia and Atlanta. A seasoned expert for the area can help you better understand what is required before making a bid on a foreclosed home. The original homeowner is not out of the picture despite the property being at auction. Most states allow a homeowner or borrower to reclaim property rights through a right of redemption. Fortunately, a post-foreclosure right of redemption is not available and prospective homebuyers tend to prefer the pre-foreclosure purchase for this reason. Pre-foreclosure listings dominate the market, and this is when most foreclosed homes are bought. Banks and mortgage lenders are eager to sell foreclosed properties and recoup the lost cost of the original owner's mortgage. Some lenders offer the ability to take over the existing mortgage, depending on the condition of the home. Waiting until the public foreclosure auction sale means competition will be stronger and the price will be higher to cover selling costs. HUD homes are also included in foreclosures. Buying a home from HUD means working with a HUD-approved real estate agent and working with them during the bidding process. Government financing is available for buying foreclosed homes from HUD. If you're interested in purchasing a pre-foreclosure property, consider taking these steps. - Ask the owner for an appointment to view the property and discuss purchasing it. - Contact a broker or agent and express your interest in buying the home. - Inspect the property with the home owner's permission. Make sure the home is carefully examined over the entire property. Ask the homeowner to take pictures if possible. Keep a checklist with potential problem spots mentioned by the inspector. - If everything goes well and you're still interested in the home, then you can make an offer. Homeowners may be willing to close quickly to preserve their credit rating. 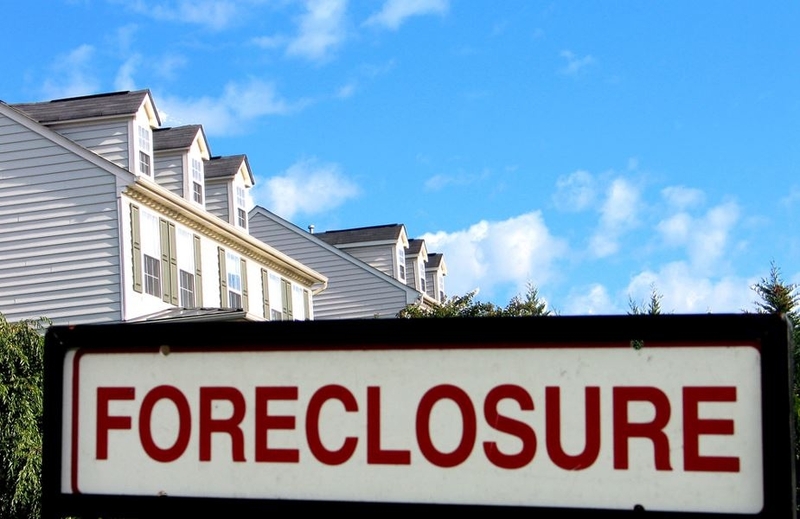 Houses that are in foreclosure are usually bought at a public foreclosure auction sale. The property is guaranteed to be foreclosed upon and is then sold to the highest bidder. A foreclosure auction sale must be announced publicly with the date, time and place. Newspaper notices are the most common method of public notice, but several websites collect these notices for foreclosure hunters to rifle through. When considering purchasing a foreclosed home at auction, make sure you know what is required. Sometimes a money deposit or money order is enough to secure your bid. Other auctions will require the full amount paid at the time of sale. Auction sale foreclosed homes are always sold in as-is condition. However, you should still conduct a thorough inspection of the entire property. Inspectors will find any hidden defects that could be costly to fix down the road. Once you've seen the property and you're ready to enter a bid, you'll need your deposit and a valid form of ID to present at the auction. Remember, you'll be facing fierce competition, so be aware of the maximum amount you're willing to spend on the house. Bids progress in $100 increments until a winner is found. If you win the house at auction, the lender will contact you with directions for how to sign the purchase agreement and submit your deposit for the home. Deposit money on an auctioned foreclose home is non-refundable. Most foreclosed homes in areas such as Georgia close within a 30-day period. Most foreclosed homes will require significant repairs to make livable. Remember, the original owner was in financial distress and unable to pay the mortgage. That means basic home maintenance may have been abandoned well before they stopped paying the mortgage. Homes that do not sell at auction will enter the real-estate owned phase of the market. These homes are often in the worst shape structurally. Most REO property has sat for months without basic maintenance or utilities turned on. In harsher parts of the country, this can wreak havoc on the property. Uninhabited homes are also more likely to be subject to damage from pets and squatters. There is also the potential that a foreclosed home may have a second mortgage or lien that could become your responsibility. You should speak with the lender and understand the full terms of the sale before agreeing to purchase any foreclosed home. Georgia is one of the best states to buy a foreclosed home in thanks to lack of right of redemption laws. The original homeowner has no claim to the house once it is taken in foreclosure, unlike other states. Georgia's average time from entry to market to closing for foreclosures is around 60 days. Your foreclosure could be finished in as few as 12 days if you reach a pre-foreclosure agreement with the homeowner. Several websites available online keep track of public record of auction sales and can help you find foreclosures. Real estate agencies keep lists of pre-foreclosure homes and can be a good starting place for finding a foreclosed home. Never deal solely with the real estate agent hired by a property's lender. This agent works for the lender and is obligated to get the most out of a property that they can. Have your own agent to help make deals between two entities and ensure you're getting an impartial opinion during the purchasing process. It is the buyer's responsibility to make sure all laws and regulations surrounding foreclosures are followed.